Online scrapbooking is about to get a whole lot easier. 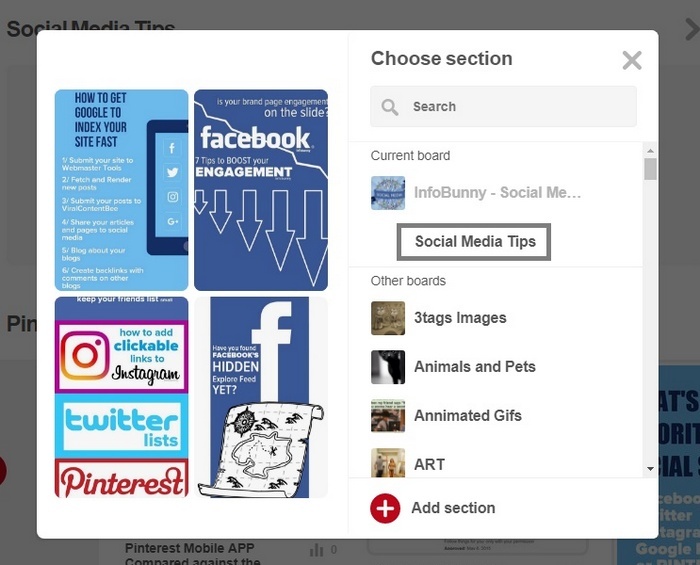 Pinterest Board Sections are a new way to categorize your content on Pinterest, boards within boards if you like. We discovered the new feature while creating a new Twitter board for our article on How Twitter has increased the character limit of Tweets to 280. When you click Add section you are present with a screen where you can add your board sections. Give your board section a name and click add. Click organize and select pins that you want to move from the main board feed to the new Board Section that you have created. Click the pins that you would like to organize or move into your new board section and click move and you will see a screen like the one below, with your selections, moved to your board section below your main pinboard name and description. That’s all for now, I just wanted to break the news that Pinterest Board Sections are almost with us. Have fun organizing your pins into your new board sections. 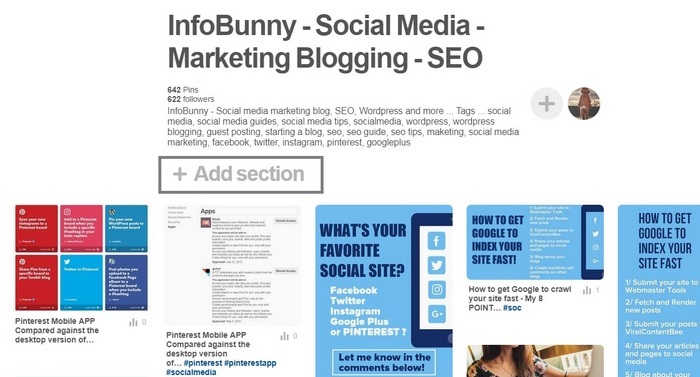 I will be back to expand this quick guide on how to use Pinterest Board Sections very soon. Pinterest Board Sections are they about to launch? 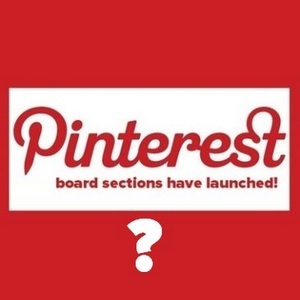 The long and eagerly anticipated Pinterest Board Sections look like they are about to launch on the Pinterest Platform.- Here is what we know so far. Great job, This is great content, I got really good information from this content and it helps me a lot, I hope it can help many people like me. It’s a great new feature and well reported. I actually learned about the change Pinterest was making around the same time you did I think, then you confirmed it with your article here. As is your usual style very informative and good work getting it out before the big news groups! Well isn’t that interesting. You are right on it. Had a look at Techcrunch -Pinterest definitely wants to the home for bigger ideas as in weddings into smaller components while sitting on the same board. The top requested feature adding another abstraction layer onto a board for those who are more aggressive about keeping their ideas in some logical flow. Diving deeper into niches, lots of intent for brands and marketers. Good news for us! Thanks for the advance info. Hey Dexter! Yeppers there you go always on top of everything! I need to follow your advice here and get my but active over on Pinterest! Thanks for showing how these Pinterest board sections work. I am in the process or organizing my Pinterest boards. I’m a real junky! The sections is a big help to me. I have always kept my boards in alphabetical order. I can see the sections being a problem. I am thrilled about this update!!!! I already have one board & the sections all over the place. I can not find a way to organize the sections inside a board. Has anyone run into this problem? Certainly Not looking a gift Horse in the mouth, so to speak. Small issue to deal with. You are a great buddy. 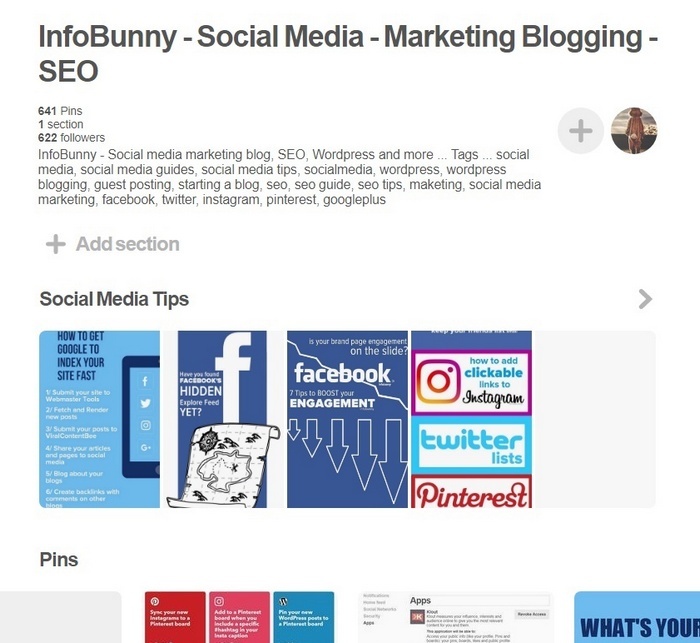 You help me a lot with this information about the Pinterest new features. I will check my account now to organize it clearly. Thanks a lot.